Saab has appointed Matthias Seidl, a former top executive with Volkswagen in the United States, as its new sales chief. Seidl replaces Adrian Hallmark, who quit the Swedish automaker to become Jaguar's global brand director. Seidl, 47, was chief operating officer for the VW brand in the United States from 2006 to 2007, reporting to Hallmark, who then was executive vice president of Volkswagen of America. Seidl, who takes up his new role Jan. 1, is currently CEO of Michigan-based automotive consultancy API, a company he founded in 2009. 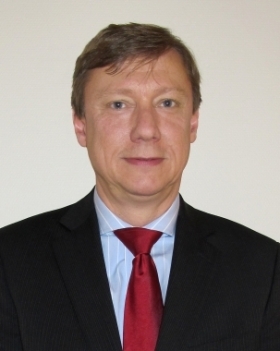 A German native and alumnus of Cass Business School, London, and Harvard University's Business School, Seidl joined Volkswagen AG in 1989 as an Area Manager in Belgium, Netherlands and Luxemburg. He later held several senior executive positions in the sales organizations of VW and its Audi premium brand. During 12 years at Audi, Seidl was a senior sales and marketing executive in the European and Asia-Pacific region prior to running the brand's North and South American sales region. Seidl will be based at Saab's headquarters in Trollhattan, Sweden, where he will report directly to Saab CEO, Jan Ake Jonsson. “This is a very exciting period for the company and I look forward to helping increase sales volumes and opening up new territories for the brand in markets around the globe,” Seidl said in a statement.